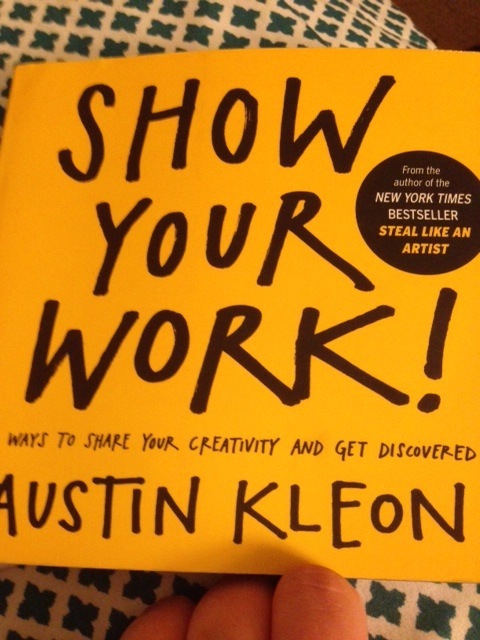 First off, I loved that Austin Kleon not only says that being an amateur is a good thing but he also embraces it. We often think of the word "amateur" in a negative way but Kleon says that they have an advantage over the professional. We are all amateurs. I realized that I was an amateur and that I loved being one when I read Kleon's definition of amateur: "the enthusiast who pursue's her work in the spirit of love." That is a beautiful way of describing the amateur. I am an amateur at most things that I do in life. One thing that I would consider myself an amateur at is writing poetry. I have never had any official training in writing poetry (except lots of reading) and I do it because I gain tranquility through cathartic writing. My minor is creative writing so I will eventually take a class on writing poetry and therefore have some training but regardless of this, I will always consider myself an amateur because I am doing it because I love it and because there is always something new to learn/write. Hey Kate, this is a great blog piece. I think it really captures how we are all amateurs and how applicable Kleon's writing is to all of us. 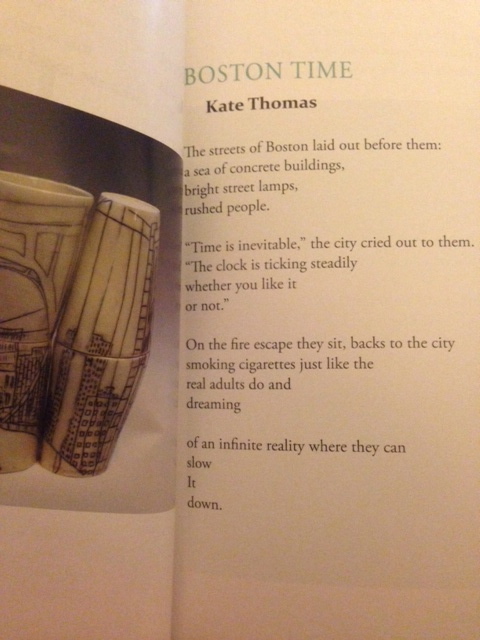 The daily poem thing is also really a cool way to get involved in poetry. The Chronicle is also a great way to stay involved. Keep on writing and sharing your work! Hey Kate! I really enjoyed your post! I was recently told by a professional photographer that I should never shoot anything for free because I would be cheating myself. The way I see it is that if not being compensated is a dealbreaker, I'd be missing out on opportunities for myself to grow as a photographer and get my name out there. I like shooting sports and landscapes, but the pay is less stable than it would be if I focused on portraits and weddings. My favorite pictures and the ones that people seem to like the best are the ones I took for fun. I really love your blog post. I can totally relate to this because I to, TRY to write poetry. I read it to myself after hours of trying to make it sound amazing, and then later on throughout the day, I look at my work and think its crap. Austin Kleon tells us to share our work with peers and instructors so we can learn and obtain a helpful push in the right direction in improving our projects. Don't ever stop writing! I really enjoyed reading your blog post, I thought Austin Kleon's way of describing an amateur as "an enthusiast who pursues her work in the spirit of love" was spot on too. I think anything work that's done genuinely and sincerly is absolutely beautiful, one of the advantages to being an amateur. I also totally signed up to get a poem everyday, it seems like a very positive way to start the day and I look forward to the first one! Thanks for sharing!